So last week the Pitt-Jolies released their latest rosé and according to the Chateau Miraval website it has already sold out. Fashion conscious pink lovers can of course buy the wine through an extensive chain of distributors, priced at approximately 15 euros a bottle. Now I’ve not yet tasted the 2013 Pitt/Jolie/Miraval concoction and I am not in a hurry to do so. I started writing books about rosé because it was a joyous young wine that above all else was not to be taken too seriously. Even the very best rosés don’t deliver lasting flavour in the mouth like a half decent red or white. And as for bottle life forget about it. 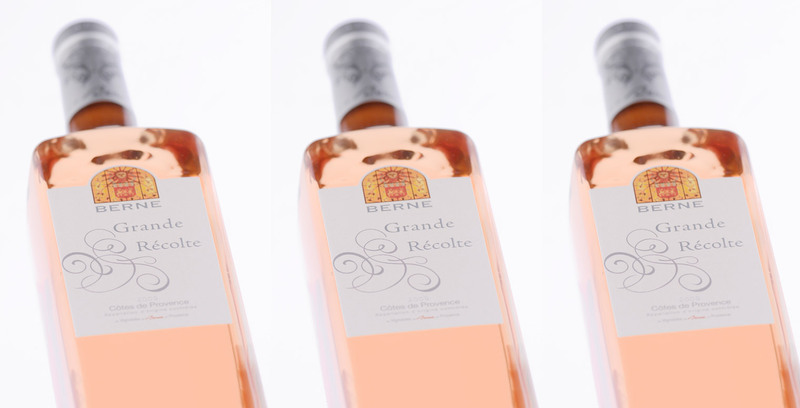 While good red and whites develop as they age, changing in character and developing ever deeper aromas, rosé just does one thing – it goes off. Which is why there is never an excuse not to pop the cork. Wine makers anxious to charge high prices for their rosé will say this isn’t true, and that a fine pink can develop in a similar way to a red or white, only over a shorter period of time. They are wrong. During the course of writing my trilogy of rosé books I accumulated a collection of well over twenty bottles. These pinks I thought were too precious too drink, each exhibiting different shades of the subtle pale colours I loved. Today, to a bottle, they are oxidised and a horrible yellow colour akin to urine. So why pay €15 for a bottle of Pitt/Jolie wine? The wine press are certainly in favour. Wine Spectator magazine rated the 2012 pink in their top hundred wines last year at number 84 and Decanter have given the 2013 a mark of 90. 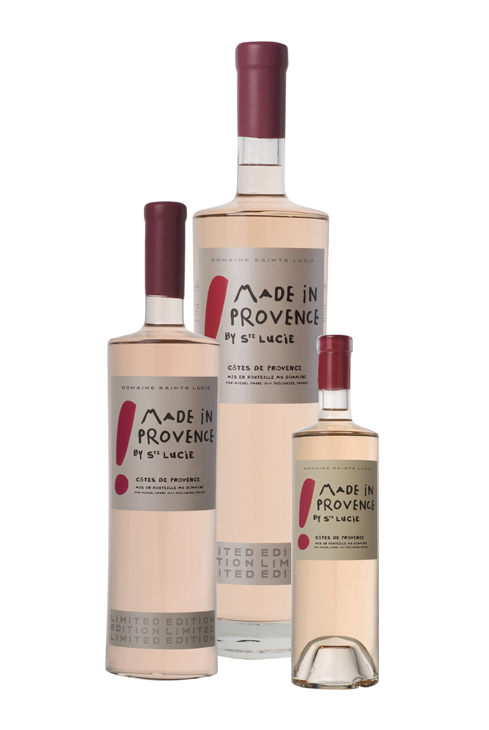 Reason enough to buy a bottle you might think, but last year when I asked my local Provencal wine merchant, a man who sells a range of over 20 local pinks, whether I should buy a case of the 2012 Miraval, he declined to give an answer. Instead he kindly opened a bottle to taste. ‘Wild strawberries and raspberries’ I commented. His point was a serious one. In his selection of pinks he had 4 or 5 bottles priced at under 10 euros which, in his view, were the equal of the Chateau Miraval. Decent well made wines that were a pleasure to drink – why therefore pay 5 euros extra for a fancy bottle and a sprinkling of stardust? 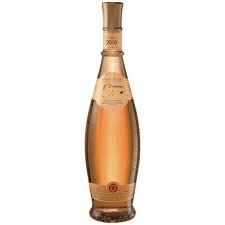 As far as I’m concerned the Pitt/Jolie’s are part of an unfortunate trend of rosé price inflation. More than any other wine rosé is about the packaging. It’s the colour of the wine and the feel of the bottle that entices the consumer to purchase not necessarily the contents (see gallery below) Wine makers who get the colour right, and the packaging right can disguise an often inferior product. Let’s not forget that many rosés are still made from the grapes considered too poor for a domaine’s premium quality red. I like the Slurp approach. Rather than pretend rosé is something which it isn’t, let’s celebrate it for what it is, simply the best drink under the summer sun. By all means buy some Brangelina Chateau Miraval and sip reverentially, but chez nous we will be slurping Slurp or something similar and probably having a lot more fun. Planning a trip to the South of France to sup on some Brangelina Miraval, then we have the best selection of Provence rental villas on the internet. From Saint Remy villas, to Gordes villas, and Aix en Provence villas, the Guru’s Provence vacation rental pages are the place to hunt. If its a Provence boutique hotel you’re hunting for then our Provence boutique hotel guide is a great place to start the search. And if your planning a Provence wine tour, then our vineyard visit rankings simplify the whole process, helping you to select the best wineries to visit. Finally why not cook up a Provencal storm with our Provence Food pages. I finally tasted this Miraval (in restaurant La Gruppi in Ste. 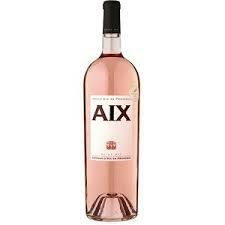 Maxime) and it was one bottle of disappointment. No wonder these two rich and famous want to sell the domaine as I cannot believe this is a success story. Retailing for less I prefer the MIP (very much) and Minuty. Referring to the humble and non-pretentious statements of Slurp’s Ilja Gort I believe this fellow countryman is a very smart, I’d say even brilliant marketeer, selling his bulk wines – for which grapes allegedly are bought from many other farmers – through the Netherlands’ largest retailer. Not overpackaged, but at least over-marketed to my liking.